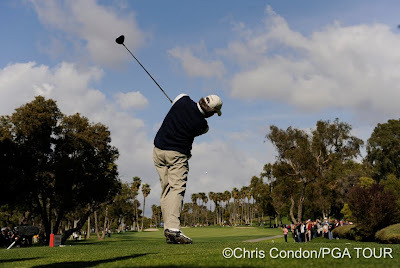 My first visit to Newport Beach, CA and the Toshiba Classic. 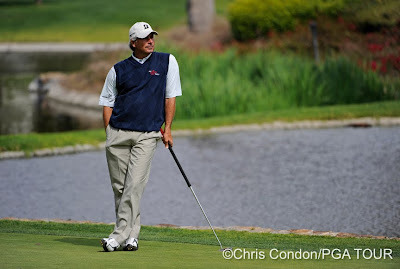 It's a great Champions Tour event on a classic course. 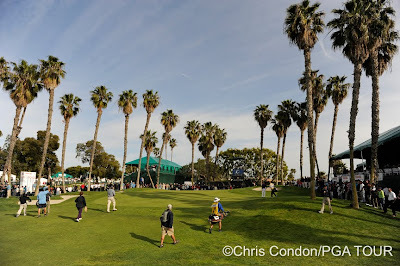 The players and fans all really seem to enjoy the week. 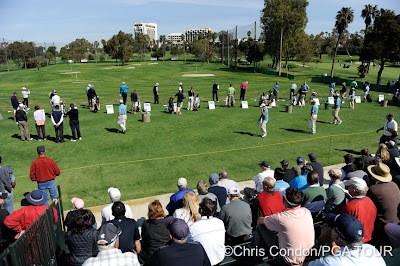 Players warm up on the range, and the bleachers were packed. Peter Jacobsen jokes on the range. 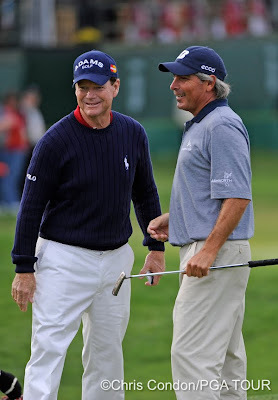 Tom Watson and Fred Couples were paired together in round 1 with Mark O'meara. Great weather on Friday. 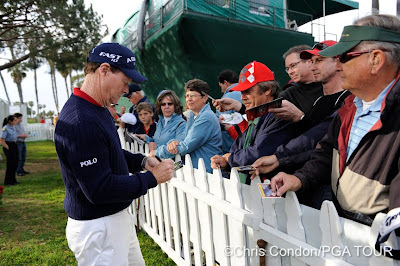 Tom signs some autographs after his round. 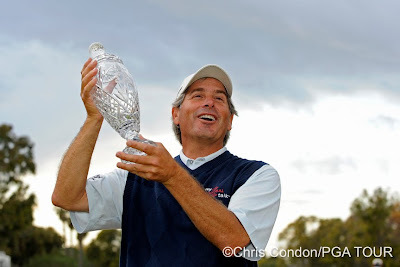 Sunday was all Fred Couples. No stress here. 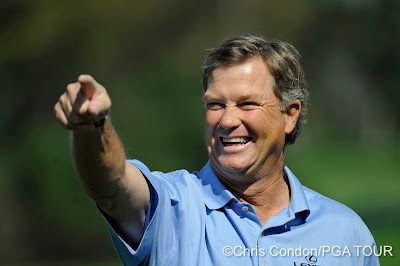 I think he's digging the Champions Tour. Two wins in three starts. Look out!